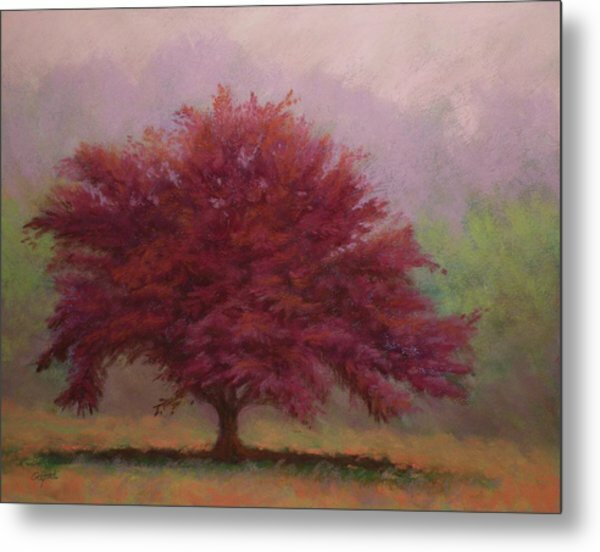 The Feather Tree is a painting by Paula Ann Ford which was uploaded on January 14th, 2010. 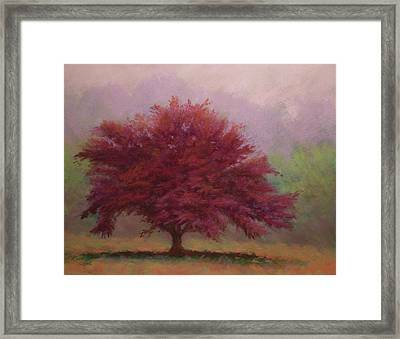 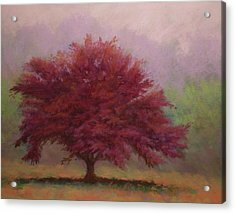 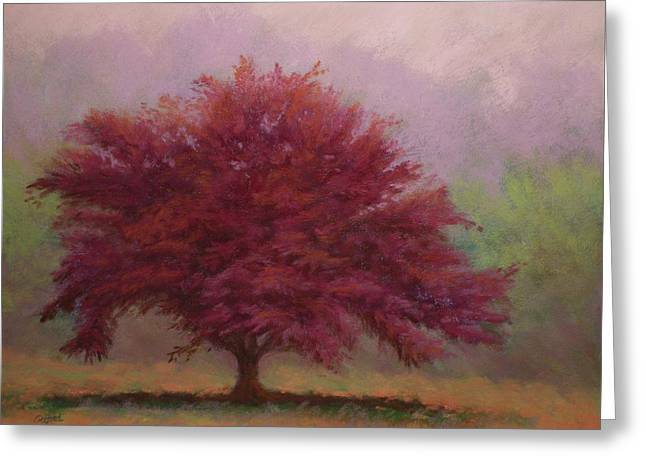 This painting was inspired by a beautiful cranberry colored tree just down the road from my home in Tennessee. 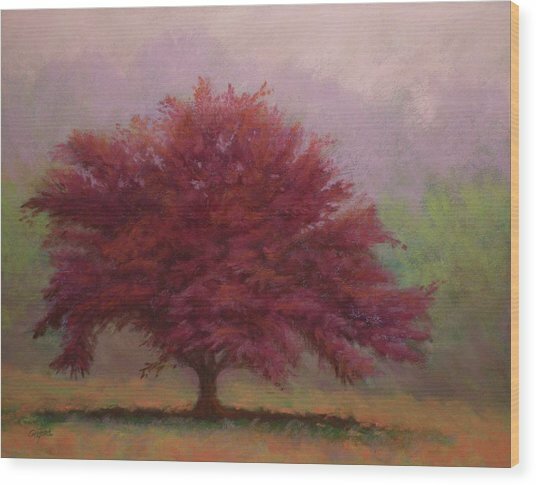 The color of the tree was incredible and I just had to try to capture its essence. 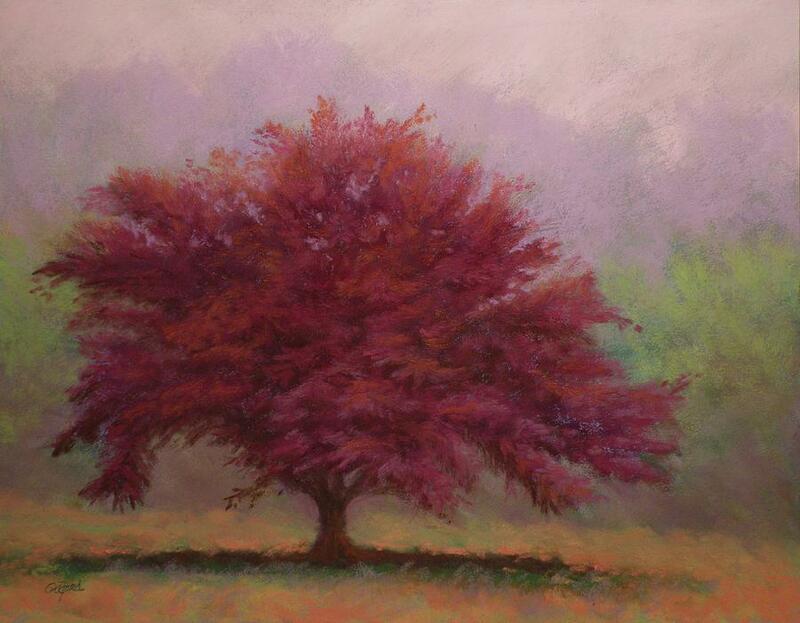 Excellent pastel piece, Paula. The muted colors really contribute to the feeling of atmosphere.